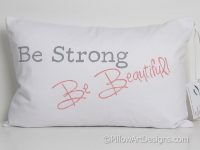 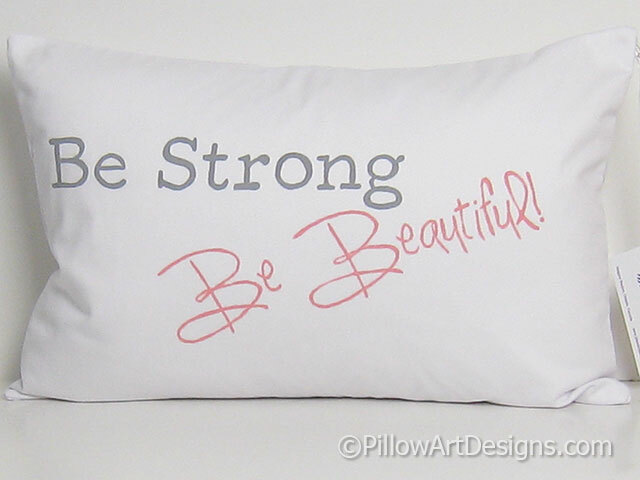 This white lumbar pillow cover brings an inspirational message "Be Strong Be Beautiful" hand painted on the front. 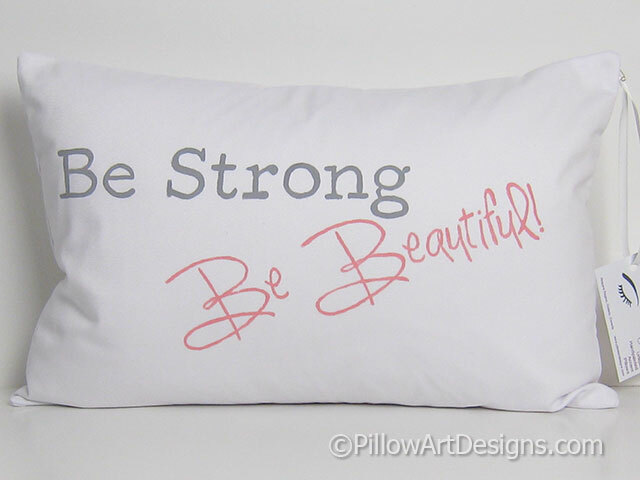 The words 'Be Strong' are painted in stone grey, the words "Be Beautiful" are painted in hot pink. 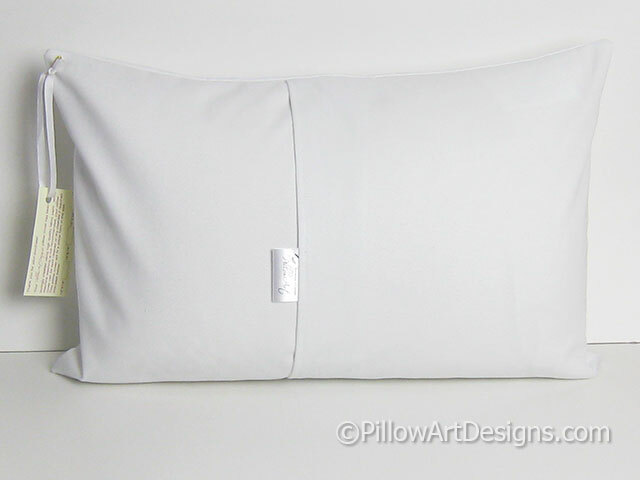 Made to fit a 12 inch X 18 inch pillow insert (not included).